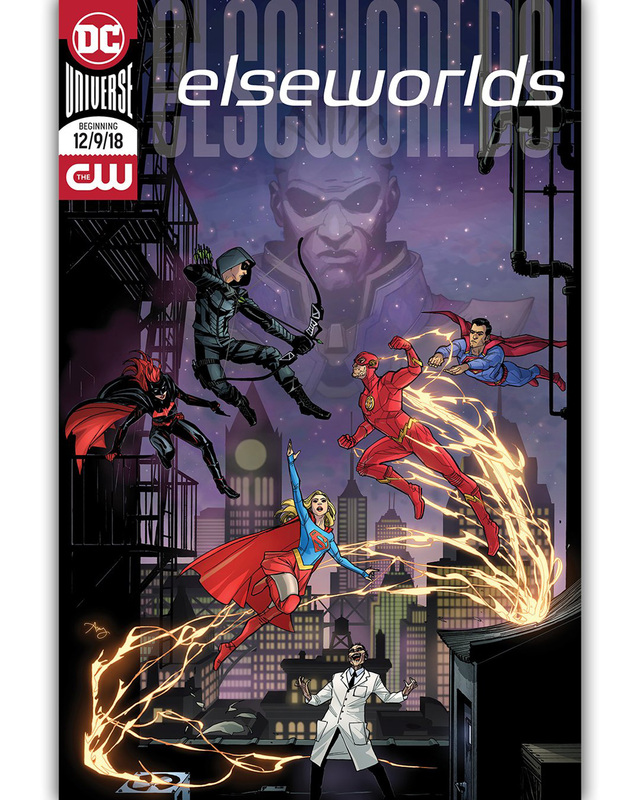 The CW's Superhero Crossover Elseworlds Poster Released! 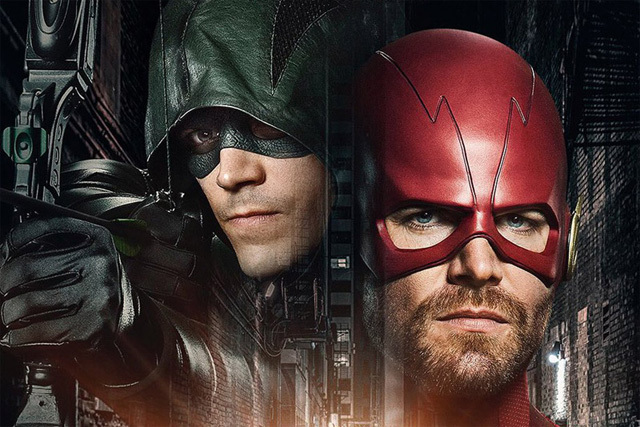 Stephen Amell has released the official Elseworlds poster on his Twitter account for The CW’s three-night superhero crossover event, revealing that destiny will be rewritten with Amell and The Flash actor Grant Gustin switching roles. Check out the full Elseworlds poster now in the gallery below! The CW recently set the dates for the annual Arrowverse crossover, with this year’s storyline heading to Gotham City, a place previously off-limits to The CW. The crossover will start with The Flash on Sunday, December 9. Arrow will continue the story on Monday, December 10, before it all comes to an end in Supergirl on Tuesday, December 11. DC’s Legends of Tomorrow is sitting out of this year’s event, and Black Lightning has yet to establish any firm links with the Arrowverse. The crossover event stars Stephen Amell as Oliver Queen/Green Arrow, Melissa Benoist as Kara Danvers/Supergirl, Grant Gustin as Barry Allen/The Flash along with guest stars Ruby Rose as Kate Kane/Batwoman, Tyler Hoechlin as Clark Kent/Superman, Elizabeth Tulloch as Lois Lane, Jeremy Davies as Dr. John Deegan, and Cassandra Jean Amell as Nora Fries, the wife of the classic DC comics villain Mr. Freeze.